Ross Vierra has an eye for opportunity. 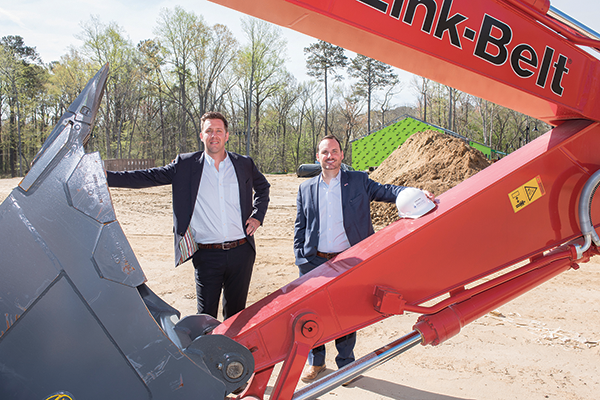 The former Naval officer bought a Virginia Beach-based construction company in 2011 and added a Newport News-based security services firm three years later. From 2012 to 2015, revenue at the combined company, Axis Global Enterprises, grew 1,274 percent, making it the third-fastest-growing company on the Fantastic 50 and the top service firm on the list. One of the company’s newest security services is “active-shooter” detection. The security services branch of the company also provides physical security, video cameras, access control, videophone verification and fire alarms. Vierra entered the security services market with his purchase of ASI Security in Newport News. In addition to its Virginia Beach and Newport News offices, the company has an office in the Outer Banks of North Carolina. Both of the company’s divisions are in growth mode with projects evenly divided between construction and security.